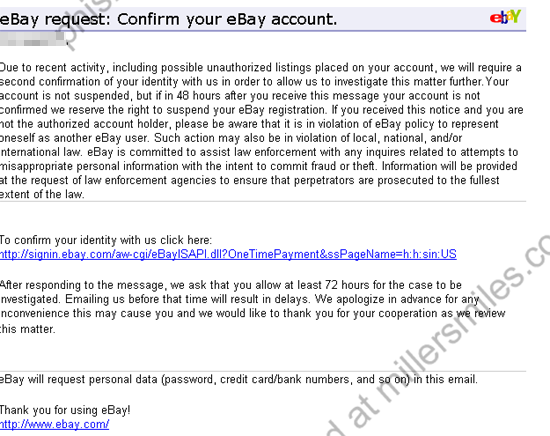 TKO NOTICE: eBay request, please read ! 4. 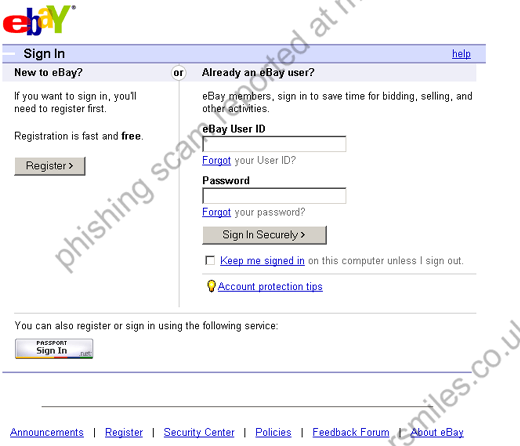 URL of spoof website looks almost real, but is nothing to do with eBay - it just looks similar!
" Due to recent activity, including possible unauthorized listings placed on your account, we will require a second confirmation of your identity with us in order to allow us to investigate this matter further"